1st T20I India vs New Zealand: Was there a ghost or was it, Shikhar Dhawan? 1st T20I India vs New Zealand: Was there a ghost or was it, Shikhar Dhawan? 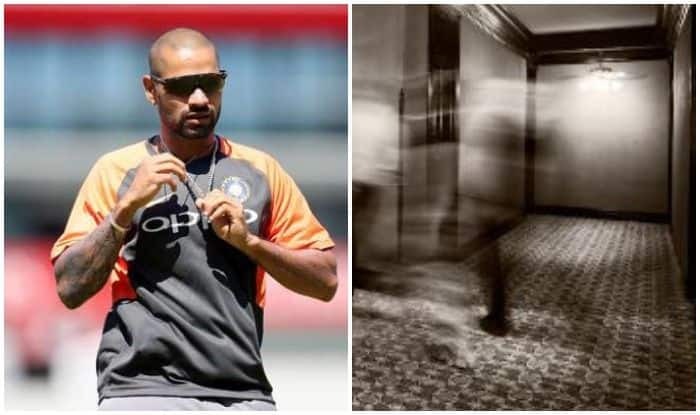 India opener Shikar Dhawan played ghost in the team India hotel in New Zealand and got the team staff really scared. It was not on the cards and unplanned, Dhawan suddenly appeared in front of Rajeev, a member of the Indian cricket team staff. The person seemed cared as he was not expecting it as Dhawan kept on laughing. It was a prank that was successful. This is not the first time Dhawan has played a prank while on tour, he has done it in the past and seems to enjoy it. It also keeps the mood in the camp light and upbeat. Meanwhile, Dhwan has been among the runs and is pairing up well with Rohit Sharma. “It was tough against a quality attack. I was thinking we should take the game to the 30th over without losing a wicket. Me, Vijay and Kedar batted…People who bat at 4,5,6 get a chance only when it’s tough,” he said. “It’s important to stay prepared. The game in Hamilton was one-off. Great effort by our bowlers to defend it,” said Rohit Sharma. “Rayudu played well with 90. Then they put the pressure back on us — it’s a lesson for us. Their accuracy was great. Tommy Latham and me could have taken it further. Credit to India, they showed us a lesson and they deserve the series win. “I suppose as batsmen we need to soak that pressure up and take those decisions. Throughout the series, they got us under more pressure. We were able to revert the pressure but not long enough and often enough,” he concluded.